The Florida High School Athletic Association 8A Semi Finals tipped off at 10am on a freezing cold Friday morning, not the time most of these teams are used to playing. That said both of these games started off competitive with teams ready and focused to play. Flagler Palm Coast – Normally an up tempo team, FPC got off to a fast start, only to be slowed to a crawl in the second and third quarter, while Colonial did all the running on them. Ivana Boyd and Tamara Henshaw both got in serious foul trouble (3 each in the first half), and without them in the game Colonial used a 15-0 run over 8 minutes of the second and third quarter to pull away. FPC will likely be back next year losing only senior Armani Walker to Bethune Cookman. Ivana Boyd – 5’7 2016 SG – Ivana is a freak athlete, explosive and fast, who rebounds the ball very well from the guard position. She handles it well although she is somewhat right hand dominate, and would definitely be considered a slasher. She doesn’t score as much as she should but that should change next year when she becomes the premier guard at FPC. She’s most likely a mid-major D-1 caliber player. Tamara Henshaw – 6’2 2016 Post/F – Henshaw is a transfer to FPC and without her they wouldn’t have been in the state semi’s. That said she did not play one of her better games today. She has the potential to be a BCS caliber player due to her strength at the position which is definitely above average. She has a decent handle for a post, but she has to do a better job of finishing than she did today. Aryelle Wagner – 5’7 2018 SG – Aryelle has great athleticism and is a poised player for a freshmen. She doesn’t get rattled easily. She has a decent handle and is a capable defender. She has a shot to be a small D-1 caliber player. 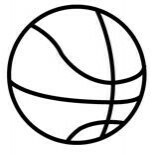 Denise Daniels – 5’11 2016 G/F – Probably the kid on Colonial besides Tyghter who most passes the “eye” test. She looks like a D-1 player and as my good friend Bob Corwin says, that means ALOT! She’s a good player but seems to just drift into the fabric of Colonial’s team, she doesn’t stand out. Today she only took 5 shots, making 2 and coring just 4. She had a huge and 1 but didn’t convert the free throw. She did finish with 8 rebounds, a mark of her athleticism. She will probably be able to play at the smaller D-1 level, if for no other reason than she looks the part. Dajsha Hall – 6’2 2016 Post – Doesn’t run particularly well, but she has some athleticim. She finished 1 offensive rebound putback without even coming down. She has a nice body, a combination of size, strength and athleticism. Doesn’t do a lot with her back to the basket, but with Tyghter dominating for Colonial it might just be because she doesn’t get the opportunity to. She’ll play D-1 somewhere and will benefit from signing late next year, so college coaches can see her for a full year without Tyghter. Boca Raton – These guys got a tough break from the officials who didn’t make many calls in their favor. They also had a very hard time scoring inside, and getting 2nd opportunities, mainly because of Miami Sr.’s Beatrice Mompremier. They are definitely my favorite to win 8A next year as they return everyone who contributes and they have a cake walk to the final 4. Their top 5 players are listed below. Destiny Waters – 5’8 2017 CG – Good handles and a nice build, Waters is one of the more athletic players at Boca. She didn’t shoot it well today, the combination of missing some outside shots and getting blocked by Mompremier, but she has the potential and feel of a smaller D-1 player. 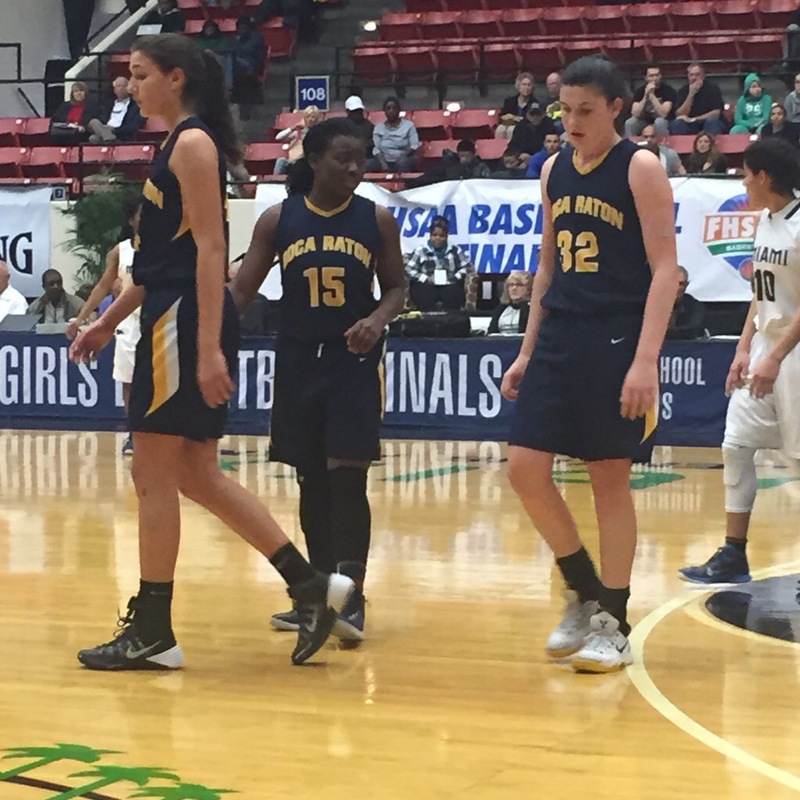 Rachel Levy – 6’2 2017 W/F/SG – Levy could be one of the best “unheralded” players in Florida. She’s got great size and decent athleticim, coupled with guard skills, a nice jumper, the ability to slash and score. She’s a potential BCS caliber player and college coaches should familiarize themselves with her name now. Tracey Kemp – 5’7 2016 PG – Kemp is a strong, explosive PG with handles and the ability to get to the rack and score. She’s a smart distributor and knows how to get her teammates the basketball in places that they can score from. She’s not a big time prospect, but surely has the potential to play on the small D-1 level. Tatijuana Ferguson – 6’2 2016 Post/F – Ferguson had a tough day going head to head with one of the best HS post players in the country. That said she clearly has a D-1 body. She’s strong and physical, knows how to seal her man on the block and catch it. She has good footwork and made numerous moves, evetually catching and kicking out to open shooters. Like a few of her teammates she has the potenital to play on the lower end of D-1. Grace Marko – 6′ 2017 – W/F/SG – Probably their best player and 2nd best prospect, Marko can handle it, pass it and shoot it. She went 4 for 8 from 3 point range in this game and that’s not a fluke. She can really really shoot the ball. The only thing holding her back from being a sure fire BCS level prospect is her foot speed but boy is she a smart poised player. Miami Sr. – When you have Beatrice Mompremier anchoring the middle for you, you can try a lot of different things, offensively and defensively because she’s going to cover up a lot of mistakes. Miami didn’t make too many mistakes today though and at times were on the verge of completely breaking the game open. They had 3 underclassmen who made solid contributions. Alondra Angulo – 5’7 2016 SG – Angulo was the go to player on the perimeter for Miami, hitting a huge 3 in the 4th quarter as Boca made 1 final surge. Her 3 ball from the corner pushed the lead back to 10, and it was enough to put away the Bobcats. She has a nice build and has a chance to play on the samll D-1 level. Andrisia Sweeting – 5’3 2016 PG – Sweeting is a quick PG with nice handles and a pass first mentality. She understands that getting Beatrice the ball is a good idea. She may struggle finding a D-1 school to take her but it will only be because of her size, she can play. She has a nice mid range pull up jumper. Destiny Weldon – 5’11 2018 W/F – Weldon is a nice compliment to Beatrice, built very similar just 5 or 6 inches shorter. She’s got a lean, lanky build and she uses her athleticism to her advantage. She’s not super skilled but has plenty of time to get there. Has the potential to eventually be a small D-1 player. This entry was posted on February 20, 2015 by johnmcgraw49.